Hi everyone!! 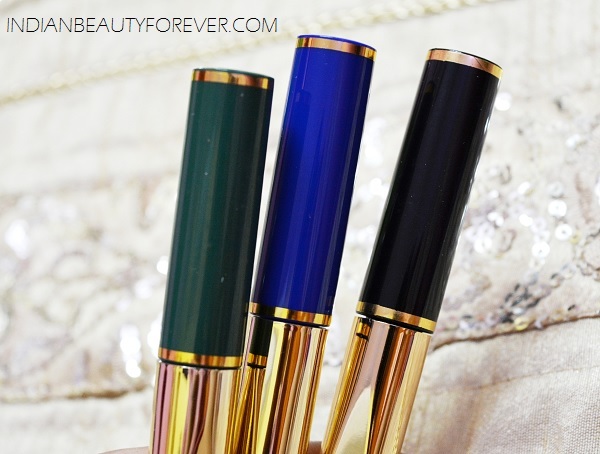 I have tried these three new eyeliners recently. These are from Jovees. I am not new to this brand but color cosmetics, yes? 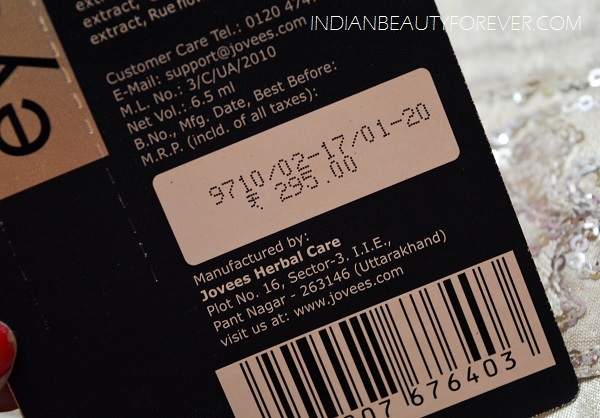 I was not even aware that Jovees makes eyeliners too. 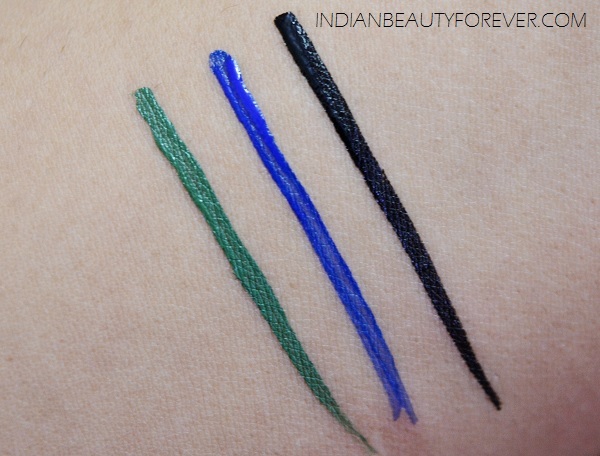 Anyways, I have got these three eyeliners here which are in the shades Green, Blue and Black. 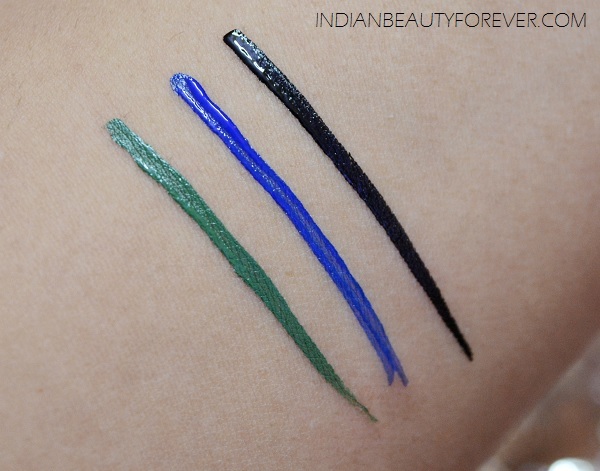 Price: 315 Rupees for 6.5ml for Green and Blue while the Black one is for 295 rupees. 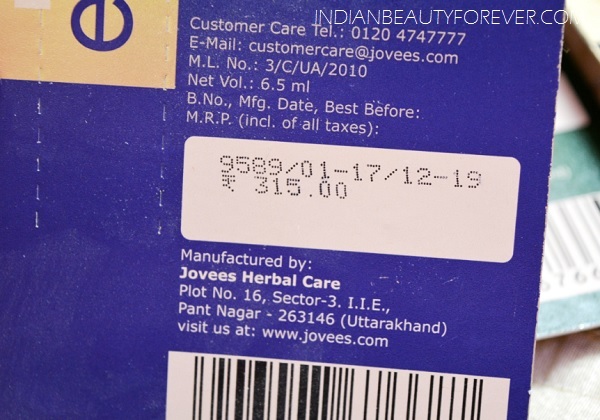 Jovees Eye Liners are packaged in a carton which bears the product. The product packaging is quite good and I think it is nicely packaged. The packaging is indeed beautiful. 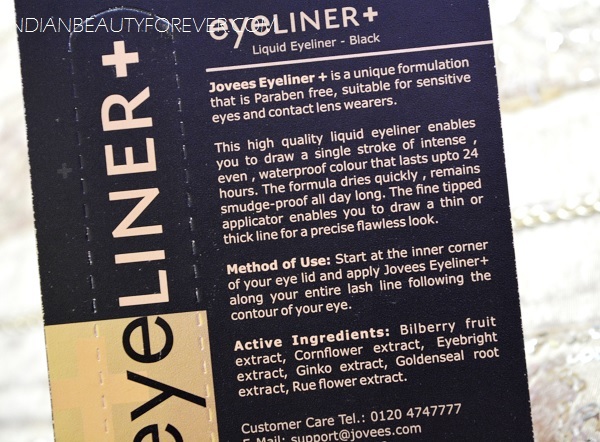 If you will check the pictures, you will see that the eyeliner has a gold colored cap and the bottom tube is of the same color as that of the eyeliner shade inside. I have these shades like Green, Blue and Black. So, packaging wise these products are quite good. Let me share the shade description one by one. This is a bright blue shade that looks like the navy blue and denim blue mix. This has a pretty good consistency but I find the consistency to be slightly patchy as in when I swiped this, this gave streak in the middle. But I am sure that when applied again like a second coat it will be absolutely opaque. I loved the color as this is bright blue and would look good on all the skin types. Like for fair skin to dark skin, this will look good. This is also a shade that is very party appropriate, you can try it for the night time parties and also for those winter days. Colored liners look great for daytime during winters. Emerald green is a shade which is bright grass green. Grass green color is ideal for everyone but this shade of green may not be visible on the dusky skin tone much as in not in the bright hue but for dusky skin colors like blue etc looks great. I loved this color as this is the shade of green that I like. I have similar eyeliners too but they are the cream or pencil eyeliners. This one is liquid hence gives a great feel when applied. Moreover, Liquid liners or gel liners can help to create a sharp crisp wing. Black is my favorite color out of the lot. This is very pigmented and jet black. The color is matte black with no sparkle shimmer etc, hence you can make this your go to eyeliner. There is no streakiness on the first application unlike the two. For those two as well that is not much but there was slightly which I pointed out. The wand is slender and the brush tip is very thin. 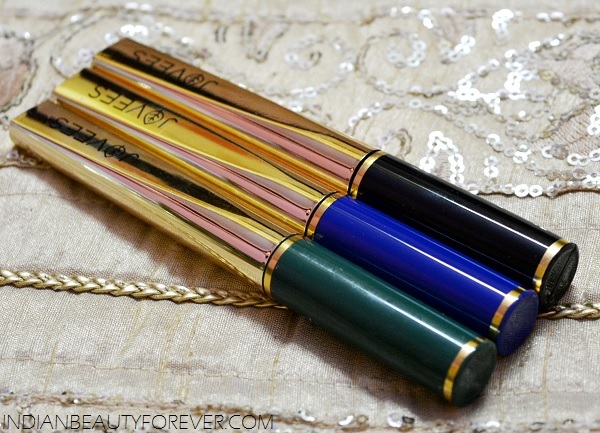 I like using these liquid eyeliners. One can draw thick or thin lines precisely as the brush is pointed and has a thin pointed bristles. The staying span of these eyeliners is really good. After they get dry they will get super smudge proof and they will peel but will not smudge or budge off. I think they are really good for 315 rupees. Even the pigmentation and intensity is great as in they will not fade away. I have used some eyeliners which will fade by the end of the day. But this is not the case with these eyeliners. 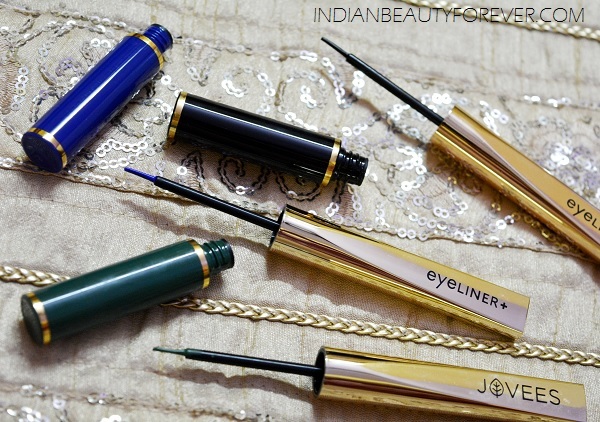 If you are looking for budget eyeliners which are smudge proof and waterproof then these are just amazing.